Sample topics, levels, and criteria can be customized to meet the requirements of specific classroom projects. Educators can also use the tool to create their own rubrics from scratch. Completed rubrics can be downloaded to PDF format for storage and distribution. “Because rubrics outline expectations for student work, they are especially useful during project work where educators are evaluating skills applied during the process and not just the presentation of content knowledge," shares Melinda Kolk, Director of Professional Learning for Tech4Learning. "It takes a significant time investment to create a high-quality rubric. 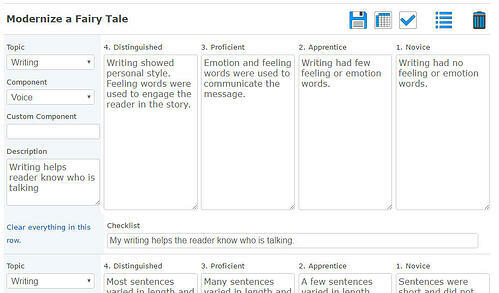 This site, rubric-maker.com, provides ideas and content for developing a rubric as well as the flexibility to create from scratch, or even develop with your students."